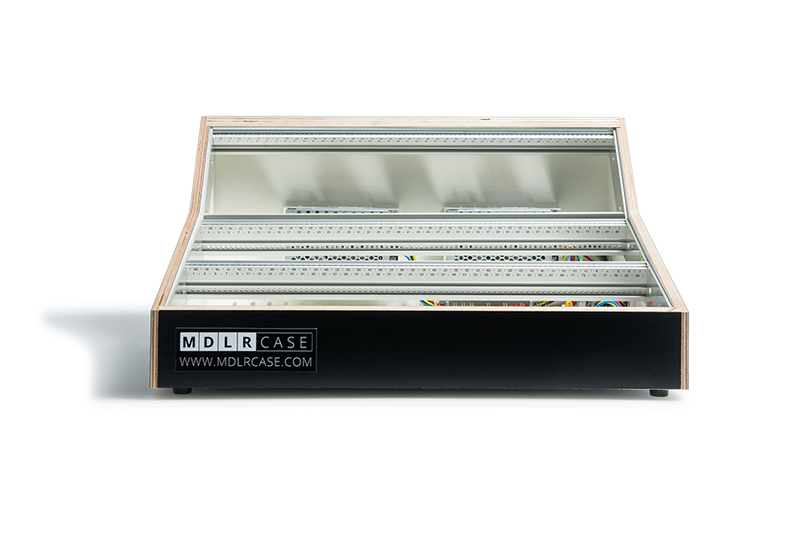 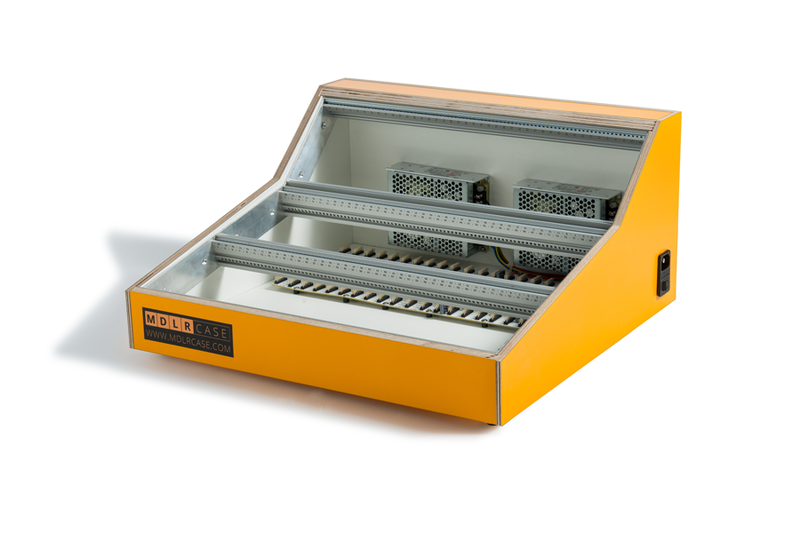 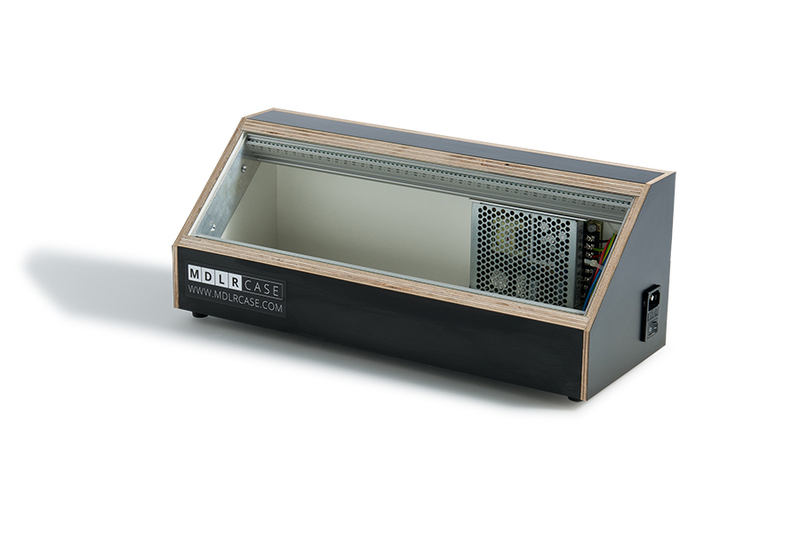 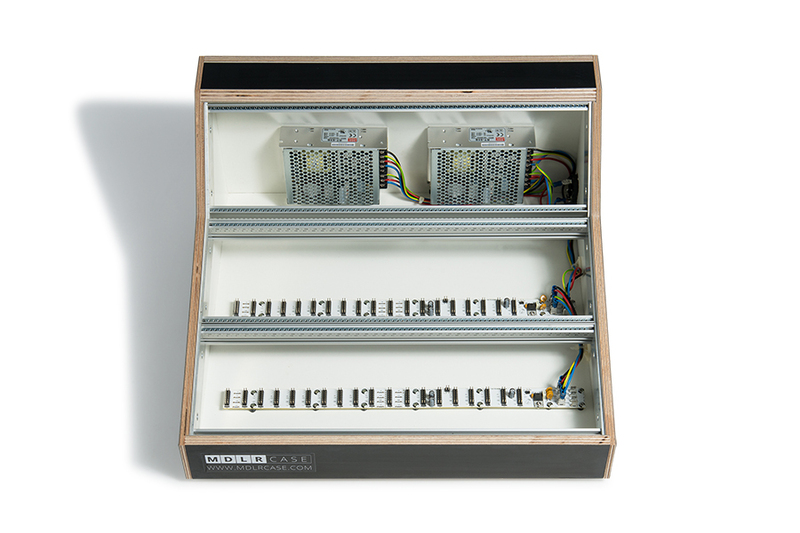 This professional handmade 9U Eurorack case for modular synthesizer can be used in two ergonomic positions. When standing upright, it feels like the classic modular synthesizer setup with two slightly-angled vertical rows and one angled horizontal row. 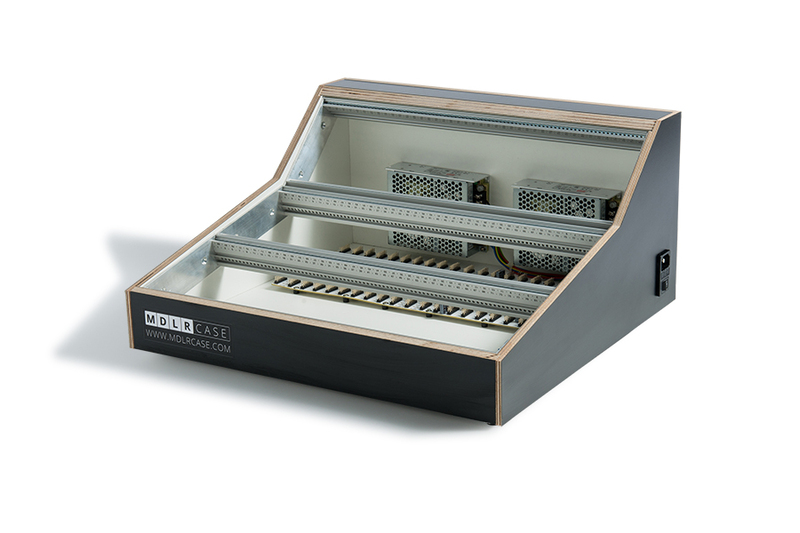 When laying flat on a desktop, it feels like an old-school mixing desk with one angled vertical row and two slightly-angled horizontal rows. 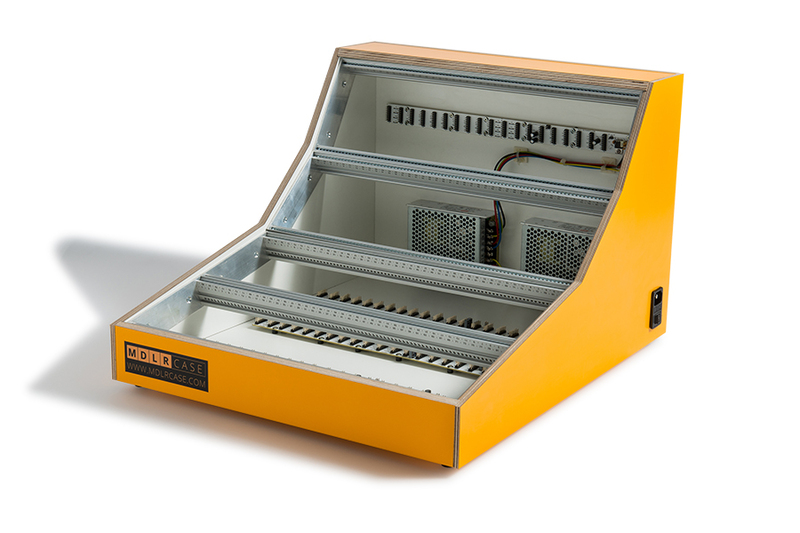 The 84hp version provides 252hp of space and the 114hp version provides 342hp of space. 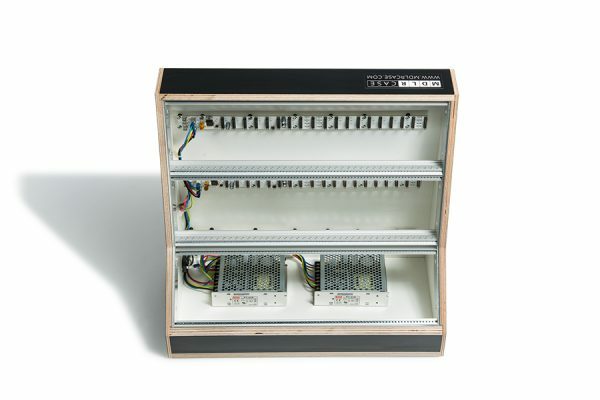 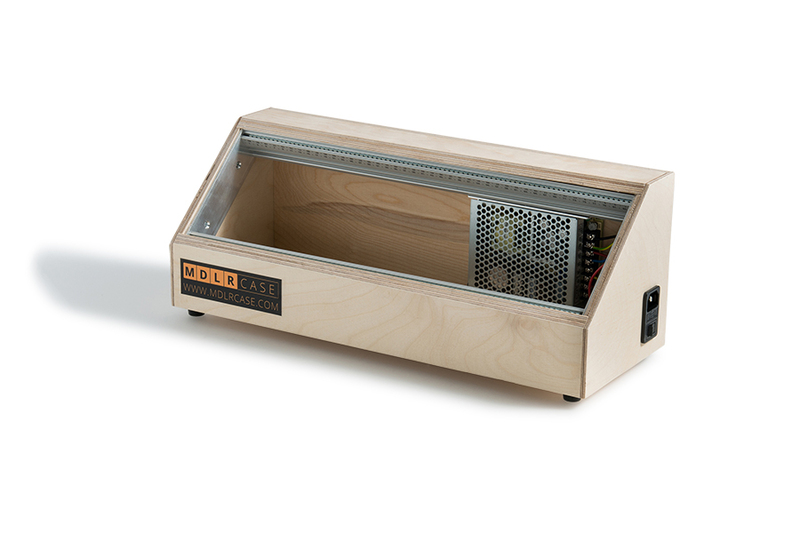 The case features an integrated power supply (your choice of two Mean Well RT65B or one Doepfer PSU-3) with a total of 60 power headers on the busboards, and comes completely assembled, wired, tested and ready for you to load it up with your modules and play.